TOULOUSE, France -- With deliveries of the A380 going well, Airbus announced that it has initiated preliminary studies for the design and manufacture of the A390, a 2600 passenger airplane. The aircraft on the drawing board will have ten decks—seven for passengers, three for cargo and baggage. A prototype of the new aircraft, based on the company's Super Transporter design, will be called the "Airbus A390." The plane is targeted for international service of flights of over 9,000 nautical miles (about 16,600 kilometers). The A390 will be powered by six Rolls-Royce turbofan engines developing thrusts of over 340,000 lbs each. According to a company spokesman, Jean-Claude Randele, "The break-even point for operating the airplane will be at a passenger load of about 1760 passengers." 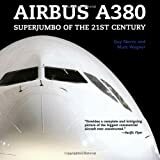 Mr. Randele also noted, "Flights in 9,000 miles-plus range are expected to take 20 hours or longer so the A390 will include lots of amenities to help the passengers pass the time." Among the features proposed for the future aircraft are six restaurants, three duty free shops, a lounge with a discothèque, two full sized movie theaters, a 14 lane bowling alley, a swimming pool with water slides, a wedding chapel, a fully functional medical clinic, and a 11,000 volume library. Mr. Randele said that two major international carriers have already placed orders and that the new jets are scheduled to begin service by the end of the decade.